In the last national election, the earliest born members of Generation Z voted for the first time. In 2019, the American workforce will see the influx of tens of millions of Gen Zers who, according to some researchers, will be a stark contrast to the Millennials that will make the largest part of the 2020 workforce. 1. Phigital – To the Gen Zers, the physical and digital worlds have been merged. Ninety-one percent of Gen Zers want to work for technologically-sophisticated organizations. 2. Hyper-Custom – Gen Zers want to customize everything from the products they buy to the careers they work. 3. Realistic – The Great Recession of 2008 and 9/11 have taught Gen Z to not take their future for granted. 4. Fear of Missing Out [FOMO] – Social media has helped Gen Z to be on top of all trends. However, the acceleration of social media trends leaves Gen Z fearful of missing out on the latest news and events. 5. Weconomists – Gen Z has grown up with shared economy companies like Uber and Airbnb. Gen Z doesn’t like silos. 6. DIY – Like Generation X, Generation Z has a strong independent streak. 7. Driven – This group is very competitive and may not so easily collaborate as Millennials do. Personally, I approach generational studies with skepticism. However, I am intrigued by the early findings of this researcher. For a good summary of his work, you can listen to this podcast. Other researchers also support the pragmatic and ultra-competitiveness traits of Gen Z. Of all the research I have read, the research on the digital habits of Gen Z is most intriguing. At the same time, Generation Z is entering the workforce; the workforce is undergoing a major transformation — artificially intelligent (AI) automation. We have seen the increasing use of chatbots and AI robots. There are predictions that AI automation will take away jobs leading to massive unemployment while there are other predictions that AI automation will create new economic opportunities. Some jobs will be lost by AI automation, but that may be for the better as it will free up humans to work in creative and more satisfying jobs. What appears to happen now is the rise of the augmented workforce. In 2017, “41 percent of companies reported they have fully implemented or have made significant progress in adopting cognitive and AI technologies within their workforce” while 34 person more companies are beginning to adopt augmentation technologies. Imagine the intersection of Generation Z (which is the most digitally-ready generation in American history) with “Generation A” (A for augmented, artificial (intelligence), or automated). How will the new workplace AI technologies amplify the workforce tendencies of all the generations and especially Generation Z? As a developer and deliverer of leadership development training in a federal agency, I am seeing a greater demand for more soft skills training among the younger employees. Younger federal employees are also demanding shorter training courses that are mobile-friendly and provide just-in-time skills training. What does the merger of Generation Z with Generation A mean for federal agencies as 2020 rapidly approaches? 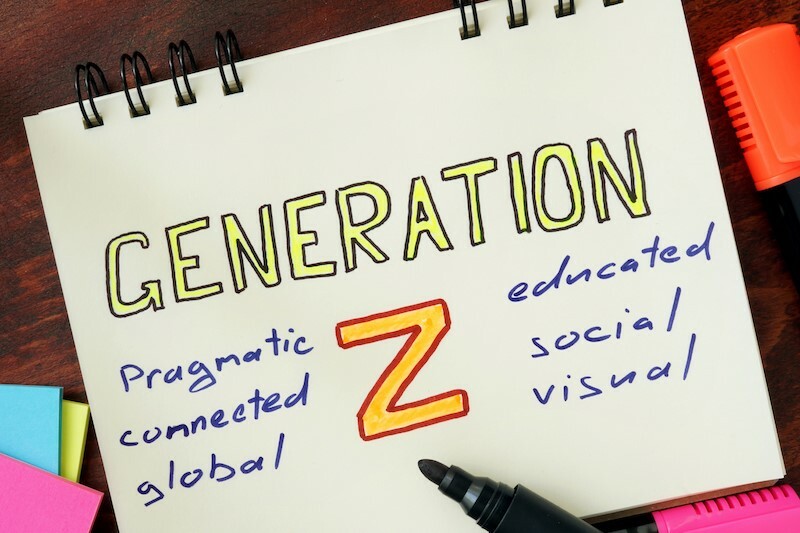 How will current federal managers (Baby Boomers, Generation X and Millennials) adopt to Generation Z behaviors and attitudes? How will federal agencies use augmentation technologies and AI-driven automation in delivering government services? We are only a few short years from 2020 which promises profound changes in the U.S. federal government and for the American public.